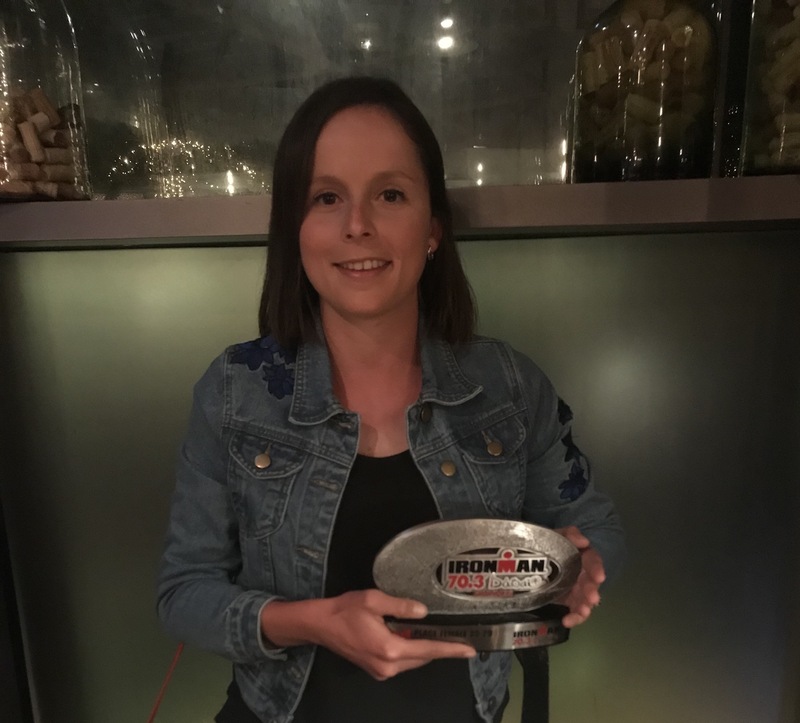 Triathlete Hannah Pace today completed the gruelling Dubai Ironman 70.3 when she raced in the 25-29 Age Group category, considered to be one of the toughest from all categories, battling it out against thirty five female athletes. This is Pace’s fifth Ironman 70.3 distance race (1.9km swim, 90km bike and 21km run). Pace has secured a podium placing in all these five races. Ironman 70.3 Dubai kicked off with a 1.9k swim lap at the Jumeirah Public Beach. Pace was third out of the water in a time of 28 minutes 59 seconds. This was followed by the 90km cycle, spread over two 45km loops through the city before heading towards the dunes. The 45km flat out route proved to be a very fast course, with little respite for athletes. Pace completed this segment in 2 hours 29 minutes 37 seconds, averaging at a speed of 36.16km per hour. As the day progressed the searing heat began taking its toll on many athletes. At around 30 degrees in the shade, the 21km course around Jumeirah Public Beach was a tough challenge and digging deep was necessary to complete the run segment. Pace finished the course in a total time of 4 hours 49 minutes and 44 seconds earning her second place in her age group. “This certainly was not the easiest of races. Apart from the fact that this is out of season for me, preparations for this race were undertaken in Maltese winter conditions so the Dubai heat was a bit of a shock to my system. Having said that I am very pleased with my performance today and very happy to bring a trophy to Malta once again!” enthused Pace at the end of the Race. Pace’s participation at the Ironman 70.3 was made possible through the support of Garmin Malta, Eurosport Malta, the Maltese Olympic Committee, Triathlon Malta and Team Barry.